Many people tend to be most familiar with Bath County, Virginia as the host of the famous Jefferson Pools in warm Springs — but although some of the towns in this county trade a lot on the history of America, there are also very new innovations coming to Bath County, particularly its schools, in the form of groundbreaking solar energy projects. News media reported earlier this month that Bath County’s Valley Elementary is going to be the first school in the state to be 100% powered by solar energy. By filling the roof of the school with solar panels, the district is getting enough power to comfortably run an entire school building! That’s not all that’s going on, either — administrators are looking at powering more of the entire district’s energy footprint with solar in the years to come. Reports indicate that the school district has already passed the 50% benchmark, so that it’s not unreasonable to think that years from now, the entire district can be run on solar – that’s all of the buildings, and everything that happens inside of them, which probably comes with a pretty significant energy bill. HVAC may or may not be included – but that’s still a good chunk of change, and it shows how a solar power project can pay for itself many times over through time. We’ve already talked about some of the main factors in Virginia’s solar revolution — you have a governor’s office committed to promoting renewables, and one of the biggest retail operations of all time, Amazon, constructing massive solar farms in places like Accomack County. 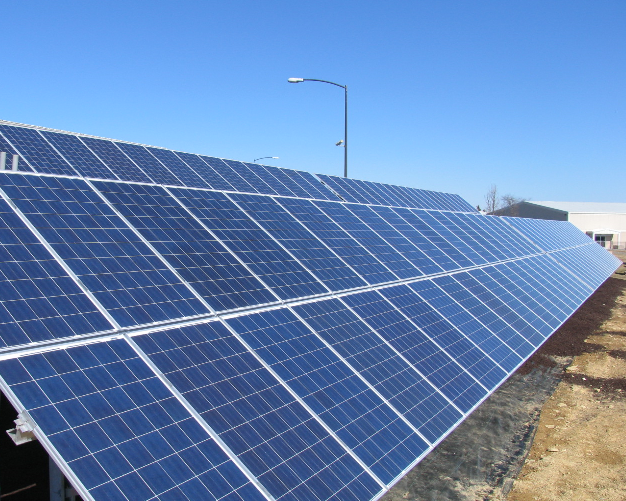 You have state-of-the-art solar facilities springing up in places like Chesapeake and the rural areas around Roanoke. Nearly everywhere in the state, property owners and businesses and government offices are thinking outside the box to put more different kinds of solar installations in place — to take Virginia off of the old oil and gas fuel systems that can harm the environment, and switch over to green, sustainable energy use. But another factor is consumer choice. We know that the utilities have had to be ‘strong-armed’ into going along with solar efforts, just because so many customers want solar energy – this and other indicators show that there really is a will on the part of small businesses and individual households to get solar going. If you want to outfit your property for solar energy production, talk to Sun Day Solar. We’ve been helping record numbers of clients install solar systems in their homes and businesses. We know how to consult on what’s practical for your property, and what will get you the most bang for your buck in terms of incentives, grants and government programs. Talk to an established and dedicated solar power installer and get a trouble-free process, to get the power of the sun working for you.